The Super Bowl is the annual championship game of the National Football League (NFL), the highest level of professional football in the United States culminating a season that begins in the late summer of the previous calendar year. The day on which the Super Bowl is played, now considered by some an unofficial American national holiday, is called “Super Bowl Sunday”. 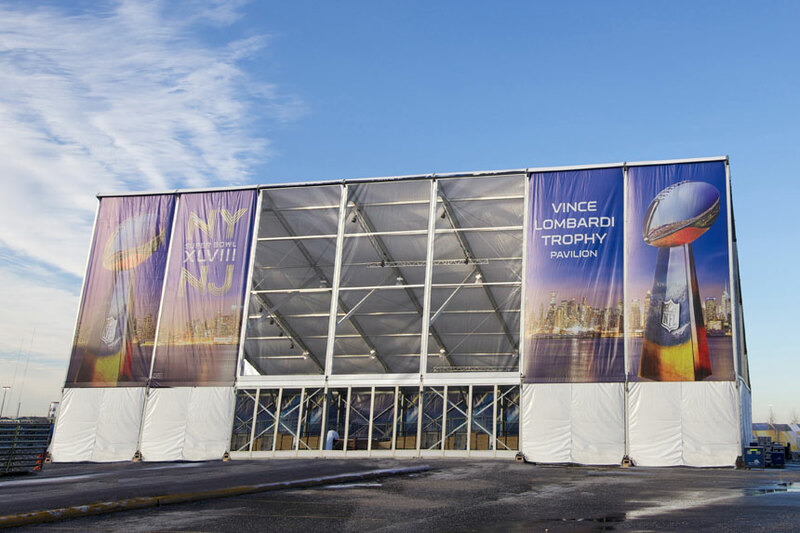 The winning team will get to hoist the coveted Vince Lombardi Trophy, named after the coach of the Green Bay Packers, who won the first two Super Bowl games. 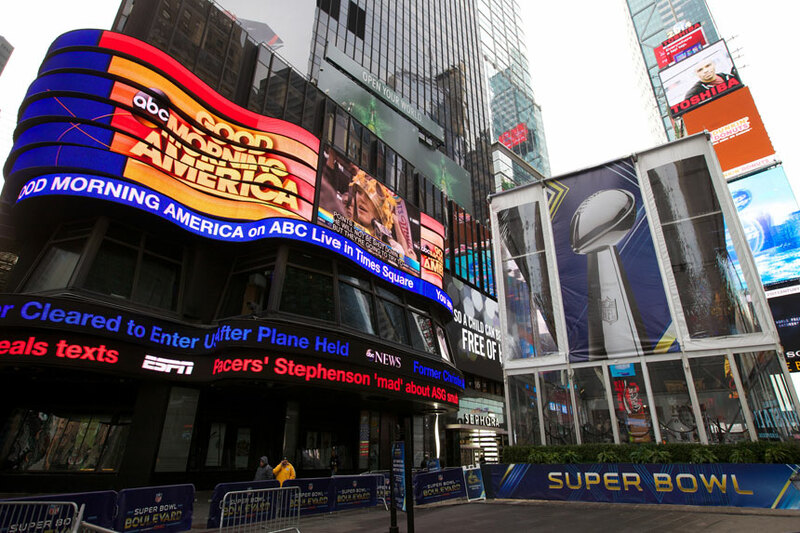 The Super Bowl is one of the most watched sporting events in the world and the 2015 game set a world record with 120.8 million viewers during the fourth quarter. 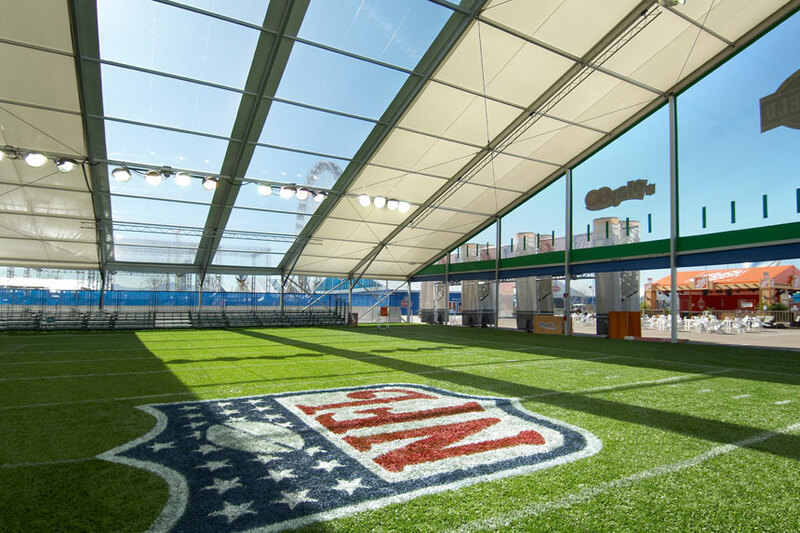 Arena Americas has been providing structures and related rental equipment for the big game for over ten years and we are thrilled to be involved in such a historic annual sporting event. 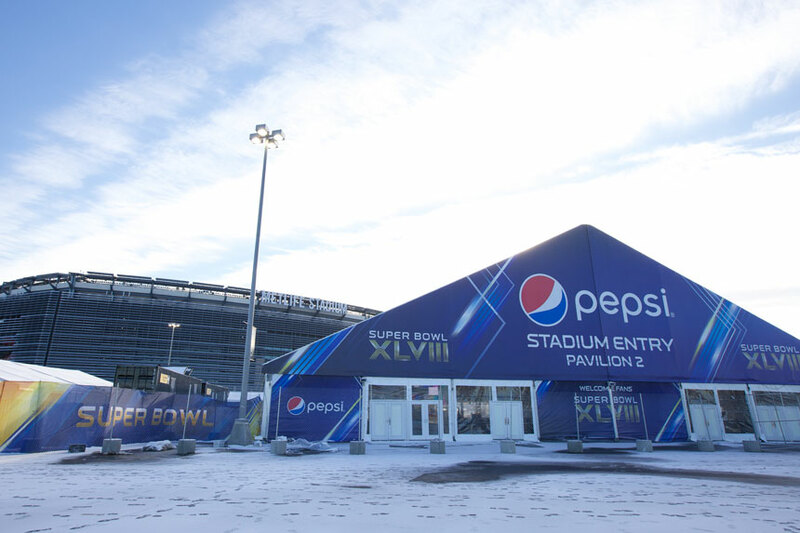 While all of the Super Bowls have been an outstanding experience for us, the 2014 game was the first Super Bowl held outdoors in a cold weather environment which gave us the opportunity to showcase our snow loaded clear span structures designed to shed snow and withstand high wind speeds. 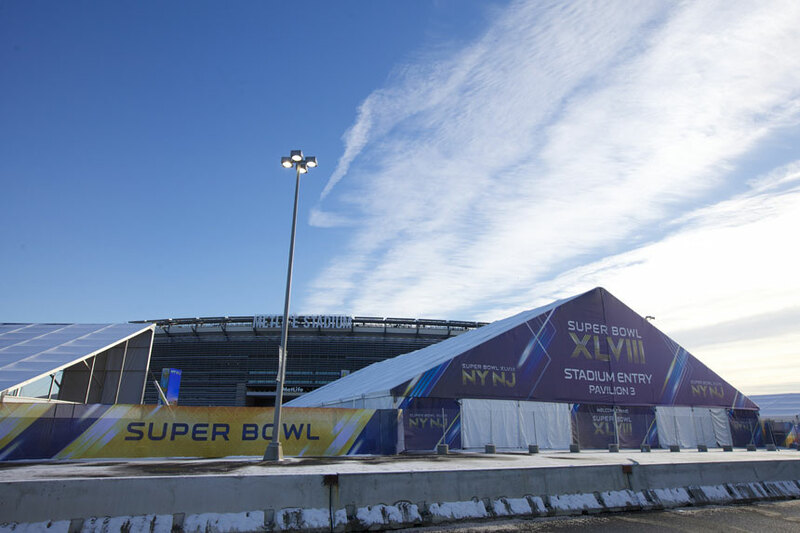 We provided structures for the game that was played at Met Life Stadium in New Jersey and also for a massive fan event called the NFL Experience, which took up ten blocks on Broadway in New York. 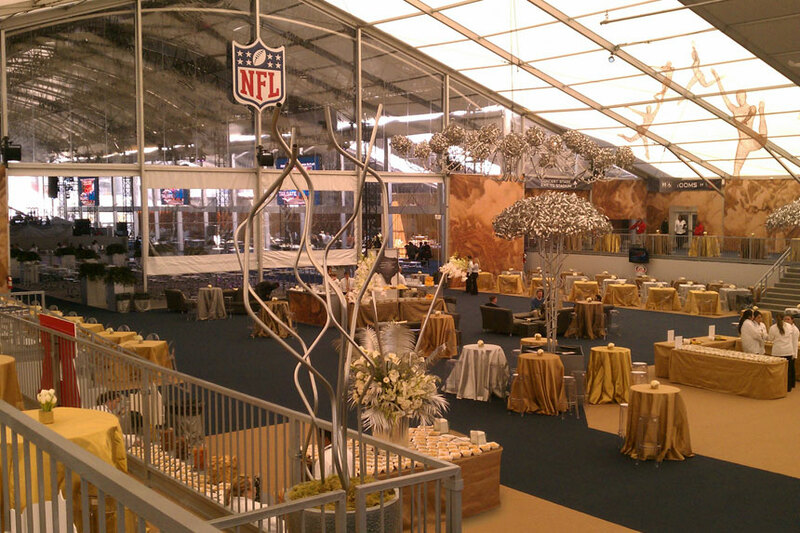 Depending on the year and location, our structures are used for pre-game tailgating, welcome pavilions and various game day events, many of which displayed our custom design and graphic capabilities. 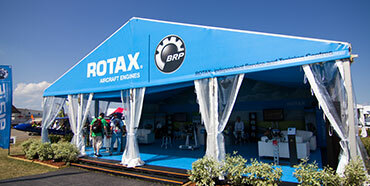 As the location of the game changes from city to city, so do our rental solutions as we continually provide new and visually appealing options each year.